Last Meeting of Year - Members Films and Social. This was the last meeting of the syllabus year and members brought along some of their favorite films so as to mark 'close of play' for what has been a very successful year for Mercury Movie Makers. Sweetwater Rhino Reserve was the first film shown which was produced and narrated by George and Barbara Thompson and as usual this was a very slick top quality wildlife film. There was plenty of close up shots of various birds, giraffe and zebra along with other species too numerous to mention, suffice to say, it was very good. The second film was a commercial film. It featured an old time favourite in the guise of Joe McDoakes. A very good comedy sketch with plenty of ideas for our members. Another old time favourite was to follow in the guise of Freddy Frinton in a comedy sketch 'Dinner for One'. These two films with their hugely popular 'stars' were very popular in the 50s and 60s. They really do bring back some fond memories. 'Coastal Delights' was a film made and produced by Roy and Jean Vickers which brought back memories for them and which they shared with us. The film was based around the east coast area of Runswick Bay, Staithes, Scarbrough and Whitby along with surrounding areas. It was great stuff full of information and as usual there were some cracking shots, especially scenes of the unexpected flash floods. And that was it, just a short film show finishing early so we could all get together and have some 'nibbles' and wish each other 'A Merry Xmas and a Happy New Year'. Our next meeting will be on the 4th January 2017. Mabel Mackman showed a film of Rothwell Parish Church with clear steady shots showing some outstanding features of the church. The second film was the Club canal trip this summer. On a very wet evening she captured some remarkably bright images. The final film was of Nostell Priory taken in Autumn with some stunning colours of the trees. All taken and edited by Mabel. Jean Vickers followed the proceedings with a quiz which got everyone thinking about place names. Mabel had put on a great spread as usual which members polished off. A chance to have a chat and socialise with other members. “The Stall Now Standing at Platform One” was an interesting subject. Some good close up shots and an amusing incident with the dog lead and legs. Could have done with a tighter editing, getting rid of the zoom shots. Camera was unsteady at times. Heads in the way of shots could have been edited out. It lacked a commentary describing the scene. “Royal Connections” A good commentary and interesting shots of the area. “One Minute Disney” A good potted version of a taste of Disneyland. Bright, Cheerful, just right. “Vigeland Park - Oslo” Well narrated. Camera shots unsteady and not straight. The opening shot of the gates was on a tilt. Camera movement was a little too much. Although static exhibits, the visitors add movement. Cutaway shots of people viewing the internal exhibits would have given flow. “City spanning two continents” An excellent film about Istanbul. Well filmed, Edited and narrated. Makes you want to visit this great and fascinating city. “Leave it to You” and amusing short snip on a favourite theme. “Orador-Sur-Glane" A moving story well told in narration and pictures of one of the World War two atrocities. It told the story well. Some camera movement but on the whole good. “Spuggies” A lovely short film to music of birds taking a bath! “At Leisure in Lakeland” A pleasant short film taken in the Lake District. Something for everyone, A boat trip on Ullswater, a high level view of the lakes and a trip on the miniature railway. Well narrated and filmed. “The Garden Project - The Raised Bed” A well thought out project both Horticulturally and in Movie terms. A story with what you were to do. Doing it and finally the conclusion. Just what movie making is all about. Well Narrated and edited. At the end of the film a long shot of the final project would have finished it off well with a very satisfied gardener for a job well done. “Remembrance” To the song “Autumn Leaves” a personal tribute to a lost male relative taken too soon in life. A well made but rather personal film. “Living Bridges” A rather long study in Bridges. Well photographed, edited, researched and narrated. At over twelve minutes it could have been cut shorter to hold the audiences attention. Too many facts and figures, although accurate do not need to be given. You can easily lose your audiences attention. Click Here for more details of Darlington Movie Makers. Click Here for more details of Southampton Video Camera Club. Continuing on from Last week we showed "Long arm of the Law" a movie made in the USA using riders on Horseback and guns. It told a story of the Sherriff and his son and the way he avenged the "baddies". Very well thought out film and well made. "Romsey" followed which was a well made travel film about the market town of Romsey in Hampshire. "On the other foot" was a well thought out thriller. The acting was superb, the props were realistic and the story was good. This laid the path to the final film "Out for Revenge" where the previous story unfolded. More actors were involved. A rather long film at 70 minutes but held the audiences attention and had a good twist in the tale at the end. A very enjoyable evening. Mercury Movie Makers had been invited to judge Leicester Movie Makers Four Minute Competition. We received 5 films from them and was asked to choose First, Second and Third. We evaluated the films which we show below. The results were sent in a sealed envelope to Leicester to be revealed in December. An enthusiastic well made film about the incredible journey of Leicester City Football Club winning the League in 2016. Good Vox-Pop, well edited, sound good, appropriate music. told a story. The sound could have been improved by use of a shotgun microphone when interviewing. An amusing film about the tricks performed by a small hog. The start of the film showed animals on show, mainly still pictures. Then we got moving pictures, no commentary to describe the scene. The hog then started and performed some clever tricks. Difficult to film if you don’t know what’s coming. However a few cutaway shots during the performance could have been made, for example, the hog raised the flag, aa shot of the flag taken afterwards could have been inserted as a cutaway. A view of the audience and the chap making the hog perform the tricks should have been inserted as cutaway shots. Some very well framed shots of Sandringham House and Estate. A good commentary described the scene, told us what we were to see, showed it and concluded with what we had seen. A look behind the scenes is always good and this did not disappoint. Good photography and good sound. Well thought out and narrated. Excellent. Clever titles. Very clear photography. Unsteady camera, difficult on a moving boat. More could have been made of the curiosity of the seals with the human. A “Johnny Morris” type commentary could have been added for humour, or simply a “David Attenborough” type commentary. No story or background. Time allowed for more films to be shown. Southampton Video Camera Club have provided us with some of their films. ​We started with "Everest Base Camp 2014", The trek towards the base camp through villages and over vast tracts of land. Although no commentary, the scenes told a story. "French Lock Working" described the workings of the French canal system. An amusing commentary in Franglais added much humour. ​"Corfe Castle" showed some good aerial shots of the castle giving a different perspective. A good use of a drone. A commentary instead of the captioned shots would have been better. "A week on Lake Como" was a well edited film with commentary. The sort of film that, if you had not been, you would be looking to book for your next Holiday. More from Southampton Video Camera Club scheduled 11th January 2017. Ladies Night The ladies invited Molly Butler to give an evenings entertainment at Mercury Movies. Molly was a teacher in her working days and spent much time at Benton School (Harrogate) with pupils who had learning difficulties. In the early 70's she started a Media Studies group whereby the children would learn how to use a camera and get some extremely good c/u shots. Much of there filming revolved around animation using plasticine characters and stop motion clips. Molly also made a short film sequence using a strip of paper with cartoon characters which she had very expertly drawn herself and then using an 'home made' Zoetrope, projected a 'moving image. It was amazing to see these 11 to 13 year old children making their very own films. The Zoetrope is in effect what you would have seen at funfares where looking through a periscope type of machine and by turning an handle at the same time, you would see 'What the Butler Saw' type of moving image. Molly first started her hobby of film making around 1969 and presented a drama film followed by another film at Benton School. This time it was a biology teaching film where lots of locusts were placed in a box and by using extreme C/Us, Molly explained the locusts life cycle. Many of the clips shown was old stuff and the sound had much to be desired compared to our modern digital age. The filming itself however was excellent, having some really good angles and close ups with very creative stop motion sequencies. It was a good night, Molly brought some artistic drawings she had drawn to show our members along with the Zoetrope and also a later Praxinoscope so they could have a go making moving images from those drawings. It was obvious from the start that the 'Kids' at Benton School had a real gem of a teacher here and it really did show. The 'Gledhill Trophy' Competition. The 'Gledhill' competition is an in house competition of films that have not been seen before at Mercury Movies. There were ten entries and a good selection it was too. In order of appearance they were. OYSTER CATCHERS AT RODLEY which was produced by Peter Strickland. The Comments George Duncan was our guest visitor and judge for the evenings competition. He talked generally about all the films in a random order and felt he had toured around the world as the programme was so varied. He thought all of the entries were of good quality and was a real pleasure to see. The club required an outright winner and a runner up and in both cases George was struggling with a very tight choice of two in each case. He did make a final decision and in second place, the runner up it was THE FALKIRK WONDER produced by Roy and Jean. The winner of the competition was VENICE, CITY OF SPLENDOUR produced by Michael and it's fair to say, it was well worthy of the top spot. It was a lovely film beautifully captured and narrated. 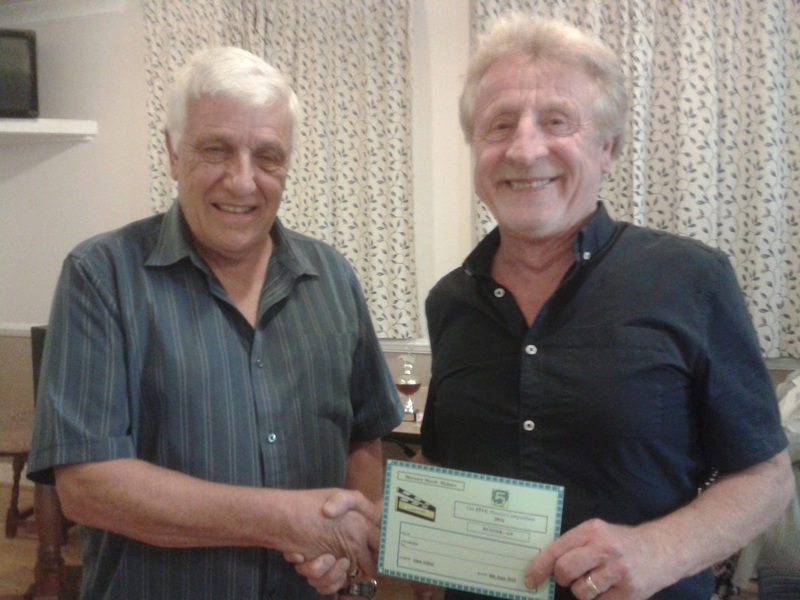 Tonight was Bob Rowley's 'Presidents Night' and it was a good night with some good laughs. Bob spent some time giving an amusing ad-lib chat, primarily because the DVD system was playing up which required some 'technical' touches and a couple of 'Kicks'. When the system was finally up and running we then saw a couple of Bob's more unusual films. The first film was his car travelling literally for miles on a track in the Cumbrian mountains with very few passing places and when you got there, where-ever it was, there was nothing there. What made the film was Bob's narration which really did make it a film to remember. The next film was a present for his 60th birthday. It was an acrobatic flight in a 2 seater aeroplane which involved Bob doing some of the actual flying, ( being the pilot, that is,) and inter cutting the manoeuvres with some WW2 aerial ' dog fights', It really was a great night and Mabel put on a lovely spread, (as usual). On entertainment value, Bob is an hard act to follow. ​We were host to Linda and Michael Gough from Newcastle. He is an outstanding Movie Maker with award winning films. Note: All their films were shown on a USB Memory Stick in .mp4 format. No DVDs were used during the evening. 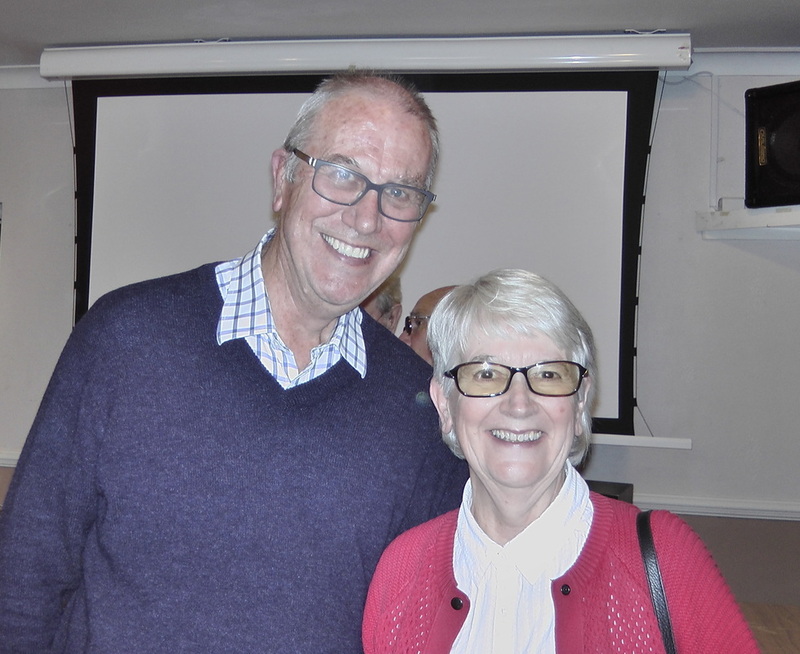 Michael and his wife Lynda traveled all the way from the North East so as to be able to attend Mercury Movies and give one of their fantastic film shows, and what a great evening it was. Michael did the introductions and presented eight very different video films. Each film was introduced with the 'background of 'Why and How' the film was produced with some very interesting anecdotes. Take Two This was the first film and produced fairly recently but it did delve back to the very beginning of their involvement with amateur movie making. In 2006 the BBC had a TV series called 'Nation of Film' and through the IAC they were looking for some amateur footage to illustrate the expansion of foreign holidays abroad in the 1960s. When the BBC saw the Super 8mm film of their honeymoon they went to Newcastle to interview Michael and Lynda. After the interview the BBC offered to take them back to their honeymoon location (all expenses paid) to Torremolinos to revisit their original locations. It was a nostalgic film very well produced and hense the title of 'Take Two. It won the NERIAC Regional shield two years ago. After The Bus Had Gone While on holiday in South Wales Michael just happened to be passing a cemetery in the small town of Vaughan. This was the town where Dylan Thomas spent most of his life and so visited the house and strolled around the Estuary where the poet spent most of his life. His grave was marked by a very simple wooden cross and in the evening Michael visited the local pub where Dylan Thomas would have been a 'regular'. The story was very interesting and after some research a film was produced showing that an idea can come to mind at any time. Michael and Lynda like to create unusual Titles for their films which keep the watchers guessing. In 2009 it won the Regional Shield for Best Entry in the NERIAC Competition..
To The Gods This video film was taken in and around Mexico City and centred on the religions of the ancient Mexicans which many thought had died out many years ago but still have an enthusiastic following. A documentary film was produced showing some of the 'rituals' still performed in our modern times. It was all very intriguing stuff and very well 'captured'. In 2007 it won the Regional Shield for Best Entry in the NERIAC Competition. the area of Virginia in bygone times. . The film was intended to create the everyday lifestyle of the people and customs rather than coming across as an holiday film. It was a great success. This film got the 'Gold Seal' award in the 2003 IAC competition and also the Senior Trophy in NERIAC for 'Best Editing'. Rubble Bubble This video film was taken at Gdansk in Poland and Michael said he and Lynda expected a rather grey industrial city. The film was based on a photo display of the ruins of the city taken during and just after the second world war. The city is now completely rebuilt and shows in fine detail of the medieval splendour of the beautiful buildings in and around the market square. The Title came when Michael saw a street entertainer blowing Bubbles which were rising just in front of a Photograph showing the ruined city. In 2011 it was given a 4 star award by the IAC. City of Songs Was a video film to music. It was of varying tracks and city shots of here, there and everywhere but the pace and editing were really good. This was the final 'punchy' film of the evening and did get a 4Star Award from the IAC in 2009. As can be seen by the above comments, every film shown and produced by Michael and Lynda had won an award of high acclaim. It goes without saying the filming was spot on and the editing and soundtracks were well up to the mark. It was a great evening with a superb variety of films and a real pleasure to watch. Tonight, Mercury Movie Makers joined company with the other Movie Makers Club of the West Riding Cine Group at WRCG's place in Wakefield for their Autumn Event. 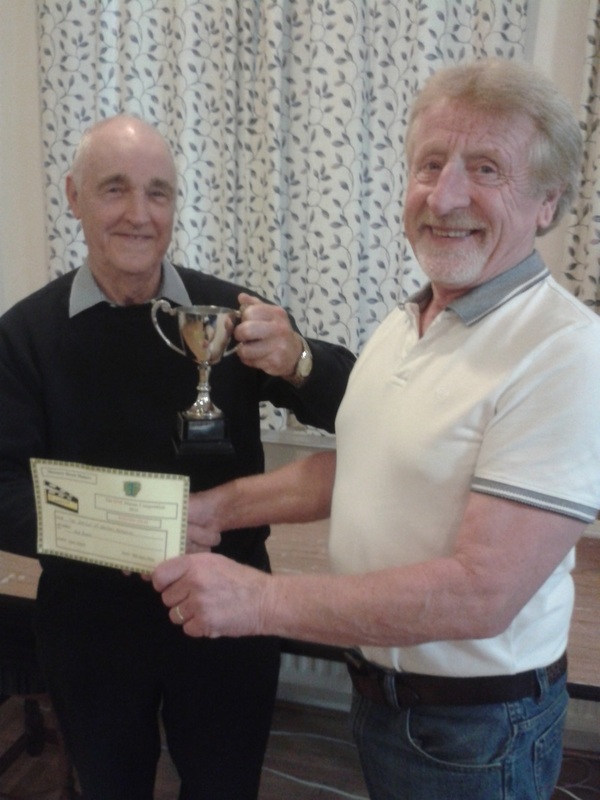 of the Group 7 trophy to the winning club which has gained most points for their allocated challenge matches held throughout the year. The theme for the films to be shown was 'Golden Oldies' and the first film to be shown was a superb production of the formation and running of the Home Guard based at Thornton near Bradford. What was great about this film was it was actually filmed at the time and contained some original rare unseen 'footage' of squaddies in training. The film was supplied by Mercury Movie Makers. Mercury supplied another film showing some of the demolition work in central Bradford before the building of 'The Broadway' had begun. It also showed the hidden underground computer room and water treatment facilities that operate the 'Mirror Pool'. This was truly historical stuff. Sheffield brought a film about their local 'Horse Bus'. This was a genuine horse drawn double decker coach come bus with external spiral staircase which took passengers around Sheffield and seeing the sites of interest. The horse was great and the driver gave some insight to the good and sometimes bad driving habits of fellow motorists. Huddersfield Movie Makers brought a holiday film with a difference. It concentrated on the Sea Side habit of cartoon post cards and all the 'titterings' that went with them. It was a very factual film and went into great detail of how they were produced and the artists who designed them. The evening was a great success but a pity that it was not more patronized, more support would have been very welcome. 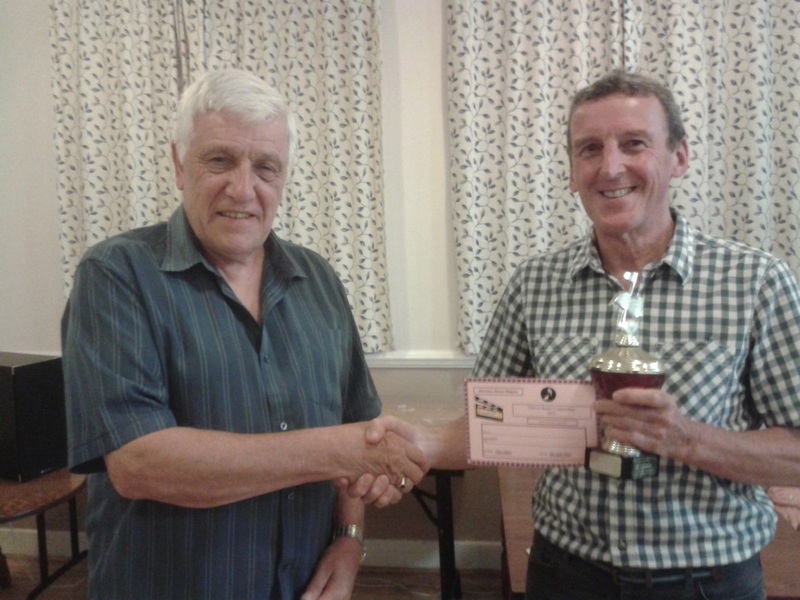 At the end of the film show, it was the duty of Allan Vanston, the WRCG President to announce the annual winner of the Group 7 Trophy and this year it was a tie between Mercury Movie Makers and Huddersfield Video Society and it was agreed that their clubs would hold the trophy for six months each starting with Huddersfield. 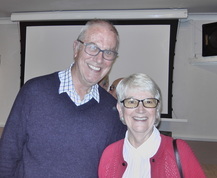 Gordon and Anne Sharpe are highly respected and prolific film makers who have been members of Huddersfield Video Club for many years but last night Gordon was on his own. He opened the evening by explaining that both he and Anne were very much a team with regards to the making of their films. They both operate their own cameras and jointly work on their film scripts and choice of music which is mostly supplied by AKM. Gordon and Anne produce their films projects under the name 'Spellbound' and this proved to be a very good choice of name for their much varied work. The following is a small sample of their work. Spellbound in the West Riding was a video tour of the towns and villages within the boundaries of the old West Riding. Sad to say there was so many places and subtle facts of information you had to stay alert to keep up with this fantastic variety of shots and skilled camerawork. We visited places like Kilnsey Crag, Bingley Five Rise Locks,Grassington and much, much more. I particularly liked a deer nonchalantly strolling through some woods and a fabulous shot of a brilliantly blue Kingfisher perched on a branch only to outdone by a second Kingfisher getting in on the shot. Talk about luck, it was a fantastic clip superbly capturing that special moment in time. West Highland Steam this film was for the steam buffs and all about the West Highland Line. Once again a superbly shot film capturing all the sweat, steam, huffing and puffing of the mighty Black 5 and the K1. To the uninitiated that don't know, that's a pair of steam engines to you and me and they looked great on their uphill struggle through the highlands of Scotland with shots full of charisma. Norway in a Nutshell. Was a record of a holiday on board the cruise ship 'Oceana' and the many ports of call along the way. Their were just enough shots on board the ship to keep everyone interested and plenty of 'Offboard' shots showing what life was like ashore. There were some lovely shots taken from the snow capped mountains of the ship way down below anchored in the Fjords of Bergen. The wooden houses looked pristine and some were reputed to be over 100 years old. The local markets, especially the fish market were very popular with the tourists, all very nicely 'captured' on camera. Chinese Treasures was a good title for this epic trip to China. There was plenty of cultural stuff in this film and after some clarification with the tour guide, Gordon and Anne found it was OK to take shots. (Gordon explained that it could be sometimes a bit tricky taking photos). A visit to the Great Wall was a must and it was well recorded as was a visit to Tianamin Square. The traffic was horrendous, or exciting, whichever way you look at it, but it certainly paid to let one of the locals deliver you to your venue. I felt worn out after watching this fast moving film. Lest We Forget was a much more slowly paced film for obvious reasons. This was taken on the 100th anniversary of the Battle of the Somme and recorded the nightly service at the Menin Gate entrance to the city of Ypres. The Buglers did a beautiful rendition of the 'Last Post' who were members of the local fire brigade. Gordon later explained that this bugle service to honor the 'Fallen' at the Battle of the Somme' has been performed every single day for the last one hundred years and only missed service during the days of World War 2. Ice Patrol was a film cut to music and very stylish it was too. Basically the footage was taken from another documentary film and some of the shots were so evocative it made sense to highlight them with a suitable music soundtrack. It worked a treat. Superb shots of floating ice in crystal clear blue waters and polar bears lazing around watched by a very rare sighting of a snow fox. There were some great 'Pics' in this film. The Last Post This film was full of nostalga. As an ex Railway and ex Royal Mail employee, Gordon had much in-depth knowledge on this subject. It was all about the final week of a royal mail service by train. The beauty about this film was it was done to a poem, and what a poem it was. The words beautifully captured the era of closures and cost cutting which was all accompanied to some much sought after 'behind the scenes' footage' such as mail sorting in the sorting carriage. This was a very classy film and Gordon confirmed it was his favourite film due to his early working background days. For me it was the first film around the ridings as it showed what was on our doorstep for film making, and those Kingfisher shots, well that was something to remember. There was something for everyone tonight and we were sorry Anne couldn't come but we will see her next time because one things for sure, they will be invited back. Wednesday, 21st September 2016 was the evening when fourteen films were shown to the membership and they had to decide for themselves, which was the best amongst them and why. ”The Lake and the Cat” by Lynne and Martin Sunderland which showed a trip around Lake Maggiore, Italy and a Cat speed boat race, with helicopters following each boat, recording the event. “London Town” by Bob Rowley showed many locations in London to the accompaniment of Paul McCartney and Wings song of the same name. “Mediterranean Coast” by Bob Rudd, taken as a tourist visiting some popular and beautiful places to the accompaniment of a talented busker playing an accordion. “Hollins Hill Farm” by Roy and Jean Vickers produced a documentary starting with how harvesting was done manually many years ago to how it is done now with machinery. “Memories Are Made of This”, an amusing story of getting old by David and Maureen Smith. “The Glass Mountain” by Bob Rowley is a picturesque view of a mountain range with the themed music of the same name. “A Drive in the Park”, one of George Thompson’s natural wildlife moments in Kruger Park, Africa. “Don’t Let Me Down”. Peter Hartingdon’s tribute film to BR drivers who were either killed or injured whilst carrying out their duties driving steam engines. Filmed in black and white. “Wax and Wicks” by Roy and Jean Vickers showed the interesting art of candle making. “Corners of Cornwall” by Lynne and Martin Sunderland. A very interesting tour of the sights in Cornwall, including Padstow, the Eden Centre and the Lost Gardens of Heligan, lost because the labourers who kept the property in working order went to war in 1914 and didn’t make it back. “Lazy Dog Films” by Chris Bartey was of an elderly male trio beautifully singing a song, harmonising well as they strummed along with their guitars. Very pleasant and easy listening. “Station X, Top Secret”. Bob Rudd took us around Bletchley Park where the Codebreakers worked on the German Enigma Machines and where the first programmable computer was invented. “Emerald Princess”, a Mediterranean cruise with Peter Russell, starting at Valletta in Malta and included a visit to Dubrovnik. “Farne Islands Returns”. David Myers shows us the many, many sea birds nesting on the Farne Islands and the seals swimming around them to the lighthouse, where the very famous young lady, Grace Darling, at the age of 22, rowed from to rescue 9 shipwrecked people off the rocks in a storm. Ideas from members were put forward to fill some of the evenings of the syllabus for 2017. On Wednesday chairman Dudley Wilcock revealed the latest films with the subject of "History on your door step"
The members had responded well by making films showing mostly local events and scenery. We started with "March to Marston Moor" which showed a re-enactment of the Civil War battle near York. Authentic looking armed men and a host of drummers were included. later we saw the clouds of smoke and explosions as the Battle of Marston Moor was joined once again in a different film.This time taken on the Moor itself. The famous Bingley Five Rise locks were a feature of the next film which showed the infinite effort that goes into replacing the massive lock gates on all five locks which is undertaken about every quarter of a century. "The Vulcan to the Skies" charity which kept the iconic plane in the air has had to ground the machine but they are now turning their attention to restoring a Canberra bomber and we were shown the progress of this. The scenic Buttertubs Pass in North Yorkshire was shown with some fine views of this remarkable rocky landscape which has been described as the most spectacular in the British isles. "A Glimpse of Guiseley" showed hidden corners of this town and featured the Town Wells and other sites which may disappear in time. A local historian became our guide in a film concerning an industrial dispute which occurred on and around a now derelict mill,the film was about Old Dog Mill. "August Afternoon" showed the vast number of motor cycles attending the annual rally in Baildon something like 300 machines swept through town. "Along the banks of the Wharfe" celebrated the course of this picturesque river and the wonderful scenery. The chairman thanked all the film makers who made the evening so interesting by bringing their films. Tonight Members performed a parlour game which involved a bomb, which ticked and went bang at various different times, and some lettered cards. A card was picked and you had to make a word up to include the letters on the card. If you were holding the bomb and had not made a word when it went off you kept the card. The one with the least cards when all 13 cards had been used up was the winner. After a few teething problems to start with, flat batteries in the Bomb, thanks to Peter Russell to provide replacements, members got into the spirit of the game. As we are a movie maker club Members had been invited to bring their cameras to film the action. David Myers brought his camera, and Peter Russell also took some shots on his iPad. Peter Strickland was also hovering in the background taking pictures for cutaway shots. On Wednesday 24th August it was 'Objects Night' at Mercury. In previous years our Members were organized into individual Groups, and each had to write a script to include the objects in question In the same evening the results were filmed. This evening, our Secretary John Wheeler arrived with a very interesting selection of gardening equipment, much to everyone's amusement. A bag of compost, seeds, trays, boxes, plant pots, trowels ,gloves, water sprayer, thermometer and a moisture indicator. The highlight of the evening was when he tried on his brand new Knee Pads! In the question and answer section, he really did try to answer all questions, but by the end of the evening, he finished up as a stand-up Comedian, with lots of laughter from all. A very enjoyable evening was had by all 16 of us, and any absent Mercury Members missed a very special entertaining event. Thank you John. 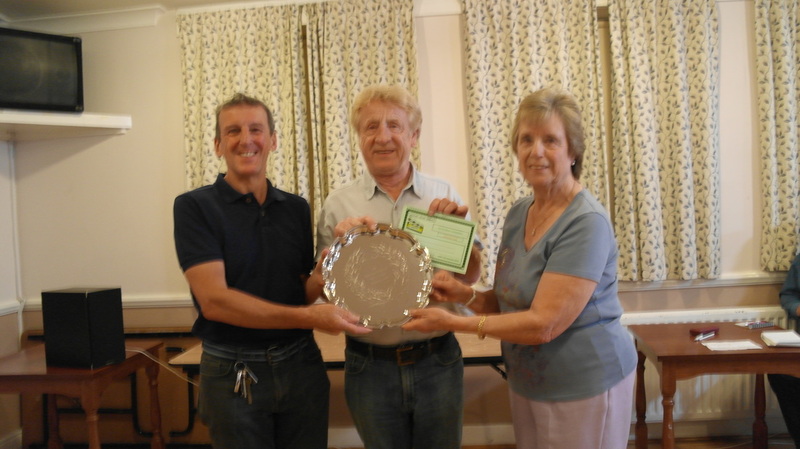 On Wednesday the 17th August, MMM held their 'Out & About Competition'. 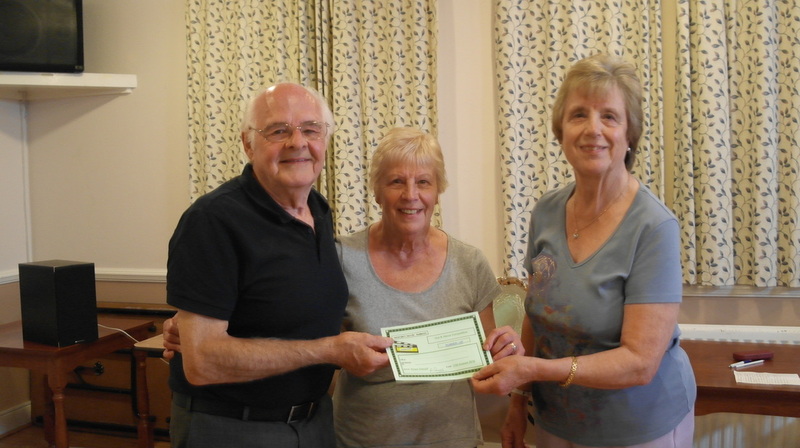 Huddersfield film Club Members Roger Parnell and his wife Maureen came to Mercury with their Chairman David Murray. There was an excellent variety of subjects portrayed on the eleven Films entered. Roger spoke about each individual film with constructive comments, and was very impressed with what he and David saw. A very good description of the Beamish Museum covering most of the exhibits, a good advert for the museum. This featured mainly the cattle, automatic milking machine, trading the livestock, with music from the Royal Engineers it finished up with a sheep being sheared. No general shots of the show with the stalls and produce. ​A trip round the North east coast featuring the pier and promenade at Saltburn by the Sea. It showed an array of knitted figures representing Yorkshire events. Moving down the coast to Staithes it gave a good view of the Yorkshire coastline. ​A visit to Coalbrookdale a Victorian Industrial open museum, gave an interesting tour well narrated by Allan of the many aspects of this area. He included Blist's Hill, Blast Furnaces, Severn Valley Railway also. In the Victorian town of Blist's Hill a lady recounted a story of the father of the bride taking he to the dentist to have all her teeth extracted before the wedding to give her a Perfect Smile! A story of finding glass stones on the beach which had come from broken bottles and had been scoured by the sea to make glass jewellery. An interview of the shop owner then related the story of the works of John Candlish who was a bottle make and had his factory in Seaham. His bottles were used all over the World. A ship was built to take his goods to Rotherhythe for export. On one of the trips it struck a mine and was sunk. This led to the demise of the company. ​A completed extension to a house is delivered on a low loader. A Crane is positioned to lift this extension in place, the ground is prepared and the section goes over the house and is lowered in place. In 1993 Peter had a shop in Harewood Street in Leeds. On the evening of 28th May an adjoining building caught fire and the film shows the firemen fighting the fire and the water cascading down the remaining staircases. His Jewellery and engraving business sustained much water damage and the following two years where scaffolding was erected to restore the damaged building, he tried to run his business. It shows the poor accessibility to his shop over these years. it the use of a Drone Barden Bridge in Wharfedale is featured. The narration is in the form of a poem by Bob and describes the history, scenery and features of the bridge. A description of Mount Snowdon in Wales and relates to the Mountain Railway and history of laying the track, erecting a cafe at the summit, rail disasters etc. Filmed inside the church, as an alternative to Harvest Festival it showed flower arrangements featuring watering cans. He describes various features of Dartmouth in Devon and the history of some of it's ancient buildings. The Railway and ferry were featured and also the castle which once had a chain bar to repel attacks from the French in past times. 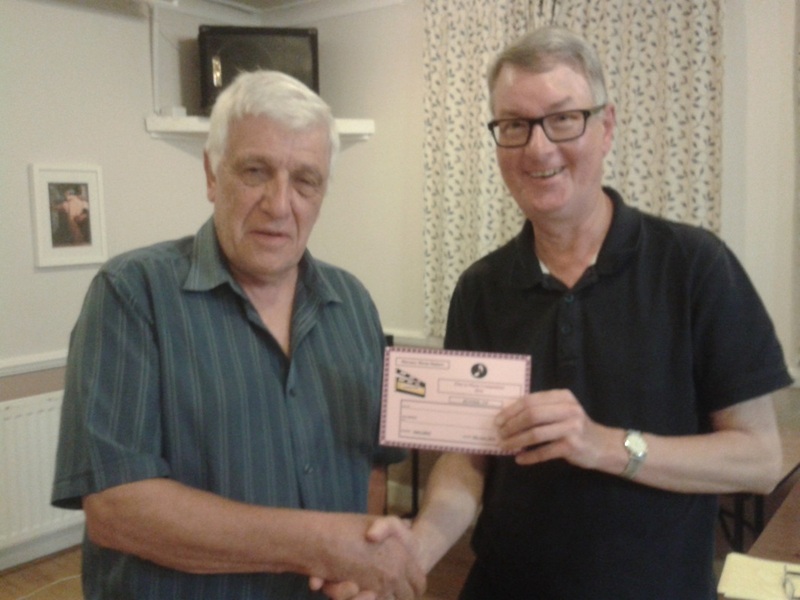 Well done all Mercury Movie Members, for proving once again that our Competitions are always well supported. A trip from Skipton towards Bingley and back on a rather damp evening, but the highlight was the Fish and Chip supper afterwards. Transport Films presented by John Wheeler. Transportation in Dartmouth was the first film of the evening which covered many varied aspects of transportation within the Dartmouth locality, 'pretty much does what it said on the tin'. The film captured river crossing ferries along with the Kingsway Castle paddle steamer, all pretty impressive stuff. The film dwelt quite a lot on the Great Western Railway and in particular the Torbay Express hauled by the 'Devon Belle'. This was all round video film produced by John Wheeler entirely on location. John was favoured with some excellent weather as all the shots were clear and well framed. It was also accompanied to a good sound track and a very clear and informative commentary. A Farmer Moving South. Vince Herke brought this professional 'off air' film which was a British Transport Film. And what a beauty it was. The film covered a farmer moving from his farm in Stokesley, North Yorkshire to a new (to him) farm in Dorset. The removal took place in mid winter and what a removal it was. The farmers cattle, sheep, goats, geese and hens along with a very stubborn bull with all the straw and winter feed for his animals animals. Then there were the various threshing machines, tractors, vans and lorries not to mention his own domestic belongings. The surprise was, it all went by train, in fact two very long trains all in deep snow. The film was superbly made and produced in 1950, filmed in black and white and described (narrated) by A. G. Stewart to great effect. At times it was a little sad seeing how tough life can be for the farmer and his wife and farm hands especially when he locked his cottage door and walked away for the last time. Vince did a great job in bringing this film for our viewing members. Menston Village Motor Show. Roy and Jean Vickers recorded this annual event in their home village of Menston. There was a great selection of vehicles, much too many to mention as Emma Nabaro Steele really did a good job in doing the commentary and describing the days events in a good and humorous style. The event was very well attended with plenty of food, clog dancers and novelty dog races. The cars on show were great, plus there was an Isetta bubble car and Harley motor bykes. As usual with Roy and Jean's films, it was very well filmed with good camera work and sound track. Emma's commentary was a welcome addition. Caen Hill Locks. Was produced by Allan Vanston and covered the famous locks on the Kennett and Avon Canal. The locks, there are 19 of them in 'staircase' formation and as can be expected a huge amount of water is needed to service the canal boats needs. A short cutaway film at the famous Crofton Pump House showed how the water was supplied, which was a great feat of engineering, as were the locks themselves. The 'footage' was crystal clear and well framed. The commentary was good and made for a very interesting record of a good day out. Blackpool Tramway Centenary, Was recorded and produced by David Myers. It was a very informative film as David is well known for his fondness of tractors, steam and all things that run on 'lines'. This was quite an old film but it stood up well against much more recent productions. It was well filmed with plenty of information, (if you can take it all in) and all the relevant nostalgia of bygone times. David does a good clear commentary and the film flowed smoothly. Thames River Cruise. This was a film to music and was produced by Bob Rudd. It covered some excellent locations along the banks of the River Thames. The camera was on board the vessel and then on dry land which worked quite well giving the impression of a cruise passenger and someone on dry land watching the world go by. There was some good steady camerawork here and the music soundtrack was beneficial to this beautiful locality. Auto Car 1903. This was a most unusual film presented by Martin Sunderland. It was of some historic footage of an old vintage electric tram circa 1903 which was a complete wreck and was mixed in with some of Martins own present day film footage. The situation was that the Embsay Sream Railway near Skipton had acquired the old Auto Car and had taken some photographs etc before transporting it back to Embsay for a complete 'Rebuild'. This is where Martin came in. He did a bit of filming of it's arrival etc and showed our members the situation to-date. It's a case of watch this space as Martin is now making all the necessary arrangements to create a complete 'high def. digital record' of this unique mode of transport which will be on daily show at the Embsay Railway. Knowing Martin it will be well worth waiting for. Mersey Beat. Was a film to Jerry and the Pacemaker's record 'Ferry Across The Mersey' and the clue was in the title as it was a film of ferry boats crossing the River Mersey between Liverpool and Birkenhead. It was quite good stuff with some creative shots and angles but the music made the film all the more appealing. A Yellow Submarine in Lanzarote. This was a holiday film and the submarine was of the smaller type (painted yellow) which took holiday makers for an underwater cruise around the harbour. The filming was quite good of the submarine at the dockside but sadly Bob Rudd who made the film didn't board the vessel so we didn't see what it was like inside. It seemed to be a good missed opportunity but perhaps Bob didn't like the idea of going underwater, shame. General Repair. This was another British Transport Film shown by Vince Herke. The film was about the occasion of when a steam engine was due for a major overhaul (re-fit) Once again the film was very nostalgic and on 'Black and White' film which had been digitised. It was a thorough record of an 'engine' being given the full works, from stripping down to the 'Bogey Wheels' and chassis and dismantling the boiler and all the running gear. It was great stuff, seeing how the railway engineers grafted and there were some humorous touches too, like one worker lighting his cigarette from a molten iron bearing, only two inches from his nose. The proof was in the pudding. The engine was completely rebuilt, given a new lovely coat of paint and we saw it drive away into the sunset. Well a foggy afternoon anyway. It was a great film, really enjoyable to watch especially as it was produced and narrated by F. Morten King in 1930. It was another good choice by Vince. set-up. As an example, Vince played some soundtracks of past great television programmes such as 'Forbidden Planet', 'Quatermass' and 'Easy Rider' all showing to great advantage the benefits and usage of synthesizer soundtracks. It's got to be said that this kind of set-up costs a lot of money and would be only of serious interest to the dedicated few. It was a good evening, Vince worked hard getting the subject across and although it was enjoyable to be in the audience it would be hard for the novice to follow suit. It was very much for the semi professional sound recordist. Vince received a good appreciation and rightly so as he brought so much kit so as to be able to demonstrate. this type of practical evening, it would be an hard act to follow. Members Film Evening. The first film of the evening was a club production of an out or making of a film on Otley Chevin. The sound quality was absolutely terrible both with wind noise and the voices of the members involved. The film just showed members trailing across fields and through gateways etc with no apparent cohesion or planning. In some of the shots it showed members with a vast amount of equipment including headphones worn by the sound recordist. Microphones with mufflers, good quality tri-pods and cameras all with no effect on the finished film. To cap it all it was 'narrated' by sub-titles which crawled all the way through the film at a disastrously slow speed. The film went on for far too long and when it finally finished or so we thought, it went on on to recap the days filming. Actually this was the best bit as it was done as a montage in black and white with no natural ambient background sound but some soft backing track, not bad although some of these shots were repeated. At the end there was a slight muffled applause, more out of courtesy I suppose, or maybe because the film had finished, eventually. To say this film was produced in 2007 it was rubbish. Beach Jewels. What a great film this was and it showed how a film should be produced, The sound track including ambient sound, music track, talking head shots and narration were all done very professionally and the subject covered was very good. The film was about broken glass rescued from the beach after many years of crushed glass from a nearby now extinct glass bottle plant which had been tipped in the sea. A merchant ship carrying a cargo of new glass bottles from the factory was sunk just of shore in 1914 by a German mine ironically adding to the future treasure trove in the bay. Paula Newman was the 'talking head' shot explaining how she collected the pearls of glass from the beach and returned to her studio shop to make some fine jewelry. The title aptly describes what the film is all about and David Myers shot and produced the film to perfection. By golly he is good and this time the applause was well justified. For King and Country This was another well made film produced by Dave Morton who paid tribute to both his grand fathers regarding the first world war. Some of the opening shots were filmed at a 2003 Remembrance Sunday Parade and also made good use of historical old black and white footage freely available on the internet. It was very well put together and Dave's narration did full justice to the event. Travelling Light Was a travelogue style film showing Allan and his wife Pat doing a long distance walk to the top of a nearby mountain in Andora. The shots covered brilliant sun shine with deer to snow on the high ground and even covered the mountain rescue team with their beloved dog and traditional cask strapped to the dogs chest. It was a good film clearly filmed and narrated and produced by Allan Vanston. A Taste of Honey John Orrell produced this very informative film all about the production of honey and the workforce, namely the bees. It was a very intriguing film and covered lots of angles for the production of the liquid gold. It was filmed in Bingley at an apiary owned and run by Frank and Maureen Jubb who amiably gave their time to do some talking head shots and cover the more intricate aspects of honey production. It was a very good film and for me, one who loves honey, it shows just what great value the product is. Looking for Leopards Was a film produced by George Thompson and unusually for George, the film opened with him doing a 'talking head' shot to camera and introducing the film. Sad to say I can't repeat half of the named places he visited due to the fact I couldn't even pronounce the words but it all took place in and around the Phina National Park and a private game reserve which is adjacent to the Kruger National Park. What I can say is that the videography was spectacular covering big rolling hills and wide grasslands. The shots, lots of them close-up's were of many beautiful and truly wild animals including Rhino,Warthog, A family of Elephants and a Pride of Lions before finally ending with the elusive Leopard. It was great footage ably assisted by Barbara all beautifully edited and narrated by George, This really was a great film. forgotten once you have heard it. It was a good tour. and very well edited and produced by Vince. Various members of Mercury Movie Makers chose some of their old or favorite video films, many of which had not been seen before. In fairness it was a poor turn out with only around thirteen members attending the film show. Well those members that didn't attend missed a treat because it was a full and very varied programme. Chance to Survive was video film produced by Roy and Jean Vickers and as usual was up to their normal high quality film making. It was filmed in Jersey at a site run by the Jersey Wildlife Trust and basically covered many animals from around the world which were on the demise, hence the title. It was a great film beautifully shot and narrated and much too much to cover here. What Floats Your Boat has been seen once or twice before at the club but it was still good to see again. It was a film covering an evening out for the club members aboard 'Bill and Ben' canal boats based at Skipton on the Leeds Liverpool canal. It was a really good record of an evening out showing how to steer the boats. open locks and even doing a 'three point turn' so as to return to base. It was all good stuff and would be a good film to show at other clubs showing our beautiful countryside and our members. Incidentally it was very well shot too with a good sound track. Prague is a world famous city of beauty and culture and Mick Varley went on location to make a film about this city. The content was rich and varied, from Wenceslas Square, (really a boulevarde) to horse drawn carriages and the local market which even had it's own blacksmith. Buskers are many in Prague and they really are good to see, especially one puppet playing a violin whilst others played their own personal instruments. Also caught on the film was an old tram system thought to be over one hundred years old. Michaels video footage was edited by John Orrell and narrated by Bill Clapton who made a great team for producing this lovely travel film. Dinner for One This really was an unusual film. It was about a woman in a supermarket buying food for herself and doing a 'talking head' performance to the camera. Irene Lofthouse was the actor and she gave an absolutely superb performance of this woman who was obviously a 'bit of a loner'. She covered several months in her voice over by way of making several meals from menus written by her favourite TV chefs and their books (and Photo's) kept her company as she had Dinner for One. It was a great script which was also very unusual written by Chris Grogan and produced by Chris Bartey. Callistock Cider Farm is in Cornwall and where Dave Morton went to record the Days event. Apart from the obvious cider making and the acres of apple trees along with all the different varieties of apples its a great place to take the Kids and tour the extensive site on a huge tractor and trailer. The ice cream went down well with the visitors and the farm shop did well selling its own specialist products like cider,chutney's and jams. This was a typical Dave Morton film which is always wells shot and produced. A Childhood Memory was a film produced by Vince Herke who made a point of revisiting his childhood home town locations and places he would visit on a regular basis. The film started at Runswick Bay with some beautiful shots and then covered locations on the cleveland Way such as Kettleness. Some good filming by Vince with a good sound track. Ripon Canal Walk was yet another film by Vince Herke and as the title suggests, this time we visit the canal. There were some good locations in the film and they were all very well recorded. Cora Hunt did the narration which was quite laid back and easy to follow. Vince choice of music was excellent for this type of film. To summarize we had a good night and the quality of all the films was up to scratch. Next week again will be members films and lets hope some different members contribute their films instead of relying on the regulars. Members were invited to bring along films to show for the evening. Bob Rowley had 2 films, the first one was of his contribution to charity by pouring a bucket of iced water over his head with startling consequences. The second one was travelling on the fastest zip wire in Wales. Vince Herke with a visit to the east coast of Yorkshire with some nice clips of Staithes. David Myers also contributed some short films, taken in the Isle of Man and remastered last year. The railways of the Isle of Man showed many views of the remaining locos and some of the track. A visit to Laxey Wheel with some explanation of its function and workings. A visit to a steam fair with many traction engines, many from John Fowler of Leeds. Fred Dibnah appears in one sequence, driving a traction engine. A row of Isle of Man buses also are featured. A final salute when they all blow their whistles is most awakening. All films have stood the test of time and come out well. After the break Chris Bartey introduced a film he had been commissioned to make. As this is the centenary year of the battle of the Somme, he thought it fitting to ask permission from the relatives to show the funeral at Bradford Cathedral of Paratrooper Martin Bell, aged 24, who was killed in action in Afghanistan in 2011. A moving ceremony well filmed by Chris and Roy Vickers. In the Operational Honours and Awards List of 30 September 2011, Private Bell was posthumously awarded the George Medal. The evening started with an American film, “What Cheer?” showing a composer struggling at his piano when suddenly, his wife passes away in front of him. At her funeral, there are a couple of musicians hovering around the grave. On awakening the next morning, he is surrounded by a very loud, punky oompah band that seems to be playing the tune he had been struggling to perfect. In a peaceful lull one day, he sees a vision of his beloved wife, only for her to be transformed into this noisy band playing his tune. It seems when he accepts the loss of his wife, the music goes away – apart from a single instrument tootling along inside his head. The music was so loud, it was only on reflection I could work out what the story line was though the acting was good. “Billy the Kid”, a pleasant UK film of a young lad wanting to live and dress like a lasso wielding cowboy, was being bullied and laughed at, at his new school. Eventually, using his lasso, he fought off the school bullies and helps to capture three escaped baddies. He finds then, the girls begin to love him for being so strong. “Across Still Waters” a UK film tells the story of John, who is losing his sight to an incurable disease, being assisted by his friend Ben to go night fishing. I wasn’t sure if the story line was of night fishing or if it was showing the limited and dark vision of John, or maybe it was 50/50. It sounded unscripted and unconnected which was a pity as it spoiled what could have been a good story. A French musical film, “We Were Evergreen: Daughters” was a captivating movie showing a large bathroom through which approximately ten young ladies continually passed through from all directions, miming taking ablutions, bathing, changing etc. all in time with each other, accompanied with singing coming from a girl and two boys. A very interesting and a well accomplished movie. I could watch it again. A different type of film making to our usual programme. 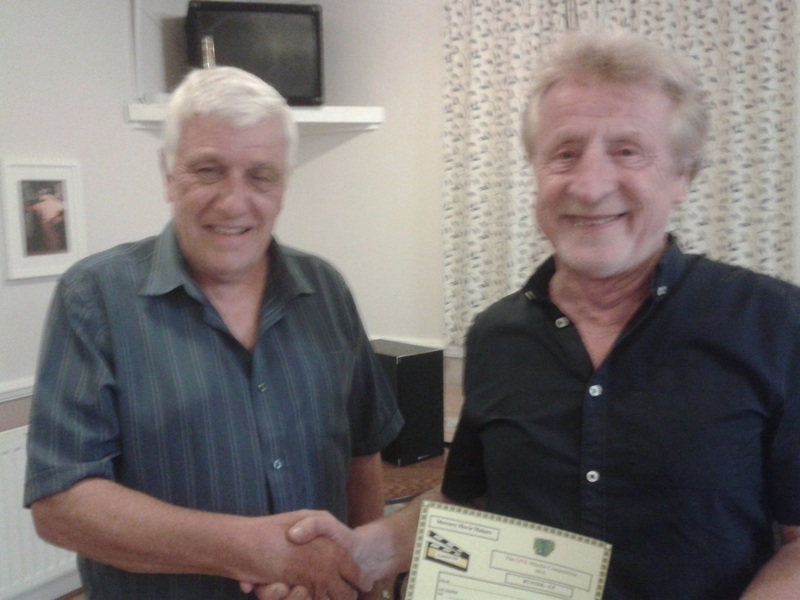 Last week, Mick Varley entertained Mercury Members with a nice variety of his films. 1. "The Swinging Sixties' Filmed at Haworth was a very colourful event. This is the 3rd Festival held during the last 9 years, and there is a very strong following. 2. "With our backs to the wall' was a very interesting film, with a great commentary. It was about the City walls of York. John Orrell was co Producer and Editor. 4. "Images of Edinburgh" was a smashing film of the city. Showing Princess Street & The Castle, plus a week of sight-seeing & some relaxation. 5. "Jollity Farm" was a film to music by The Bonzo Dog Dooda Band. 3 yr old Grandson Henry was the star. 7. Next was a medley of films to music:- "Mud glorious Mud" was filmed at the mud baths of Dalyman, in Turkey. With people of every shape and size rolling about, what a sight! 8." We are sailing" sung by Rod Stewart, was a Sailing film showing the last surviving Junk in Hong Kong, called Duk-Ling. 10. "When you're smiling" sang Dean Martin. You could only smile at the montage of happy faces. Tonight was a mixed competition night with Alan Abbott and his good wife Jacki being the judges. There were three separate competitions which were , One Minute Competition, Five Minute Competition and a Film to Music Competition. It was a good night for viewing some really good films and there was much to say about the rich and varied content of the three competitions and much praise must go to Alan Abbott and his wife for a very humorous appraisal of all the entries. 1st June - "Making Music"
A Night with Chris Bartey. Chris is a fellow member of Mercury Movie Makers and he certainly did us proud tonight, Chris decided to open the evening with a film not entirely of his own making but he did help out acting as a second camera for the production. The film was all about a pair of statues which were recently stolen which were commemorating soldiers of the first world war. The site of the stolen statues was in Todmorden and the film was called 'The Todmorden Statues' which was produced by Tom Tremayne a prolific film maker. Helen Bayes narrated the story which was all about the replacement of the coveted statues and how they were made. It was a gripping tale with lots of charisma. Chris is a very good camera man and film maker but in his own words he prefers the audio and the production of sound and it's fair to say he is a bit of a fanatic. As a practical exercise, he requested three volunteers, who would act like a trio of musicians and Chris would show how and where to place the camera in order to get the sound and the shots required. This all sounds pretty simple stuff until we were told that his musical productions were all single camera shoots which were designed to give a multi camera style production It really was very effective and the patience required for this type of production was very commendable. He would have perhaps something like twelve complete takes of the same 'song' all from different angles on twelve time lines and then edit the lot down to one master track. It was a very good night with plenty of discussion and all held together by a very 'jokey' but very talented Chris. 'Henry V111, I am' a cartoon strip. The second was a 'A Sight for Sore Eyes', a domestic film, and the third was another cartoon style project called 'Out on a Limb'. The first entry was disqualified because it was based on a song and not a catchphrase. 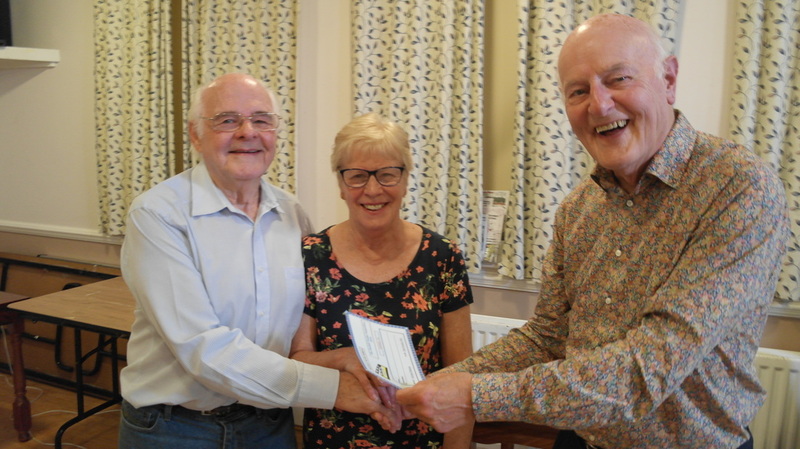 The winner was decided on a points system by selected club members and it was a unanimous win for 'A Sight for Sore Eyes' produced by Roy and Jean Vickers. This was a documentary style film with 'talking heads' explaining the concert 'Gang Shows' produced by the Cubs, Scouts and Guides of the Guiseley Methodist Church. The 'talking heads' who were also the leaders of the gang shows were Peter and Lenny Busfield who did a wonderful job producing the annual shows with such dedication. They really were very good. This was a fantastic professional film that Vince selected as it was a very fast production with a vast amount of 'cut-a-ways' which was one of the topics of last weeks meeting. It really was very good and full of nostalgia. It was all about steam trains from the 50s and 60s era being heavily 'snowed in' and also showing freight trains etc being dug out by means of an engine snow plow and sheer hard graft by men in flat caps with shovels before speeding on their way through the country side. The sound track and editing was just great. This film was about a charity fund raising event filmed at Wetherby in north Yorkshire. The participants in the race were in costume as their favourite mascots. According to the makers of the film it didn't quite 'come off' but to be fair the shots were very good, it was a beautiful day and there were some good comments from the crowd, The production of the film ended with the race itself and the sound track was very good. It brought to mind the Chariots of Fire sequence which really worked very well. The winner was 'Hound Dog' who won £100. 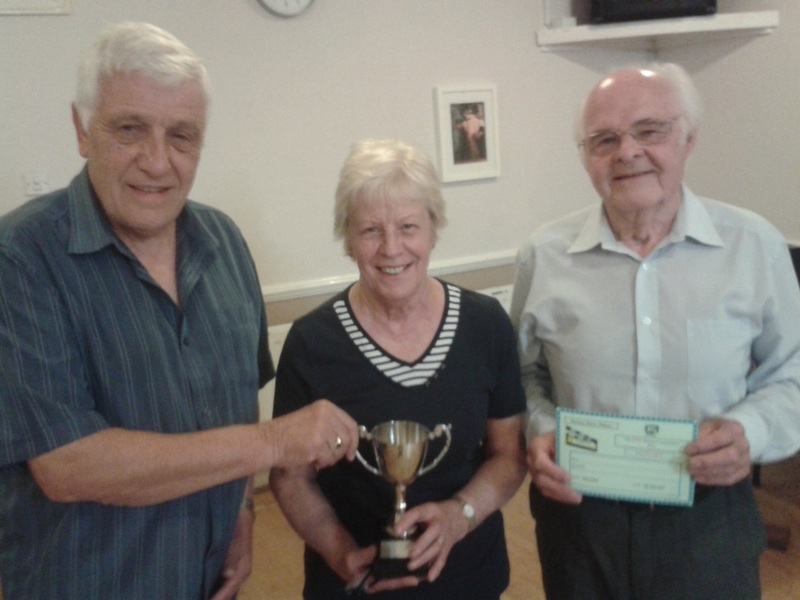 Second was 'Doodle Bug' who won £75 and third was 'Darling Dog' who won £50. What was great in this race was that the last over the line got a prize, He won £25. This was a charity fun event and the organizers donated the moneys collected to Manorlands Hospice - £12000. It couldn't have ended any better. I didn't know where this was ( because it was a secret) but it was a stunning garden where shots of various flowers were taken accompanied to some relevant music. It was very colourful and included landscape and lakes and waterfalls. the camerawork was very steady and the choice of soundtrack was spot on. Afterwards we found out it was filmed in the Hymalayan Gardens and Sculpture Park. This film was of a holiday tour and took in all the top locations that the Scilly Isles are famous for. It showed the Island Bus, bronze age burial ground and St Mary's old Church, this is where Harold Wilson was buried in 1995. The film also showed a quaint old lighthouse which was converted from gas to electric in 1982. Tresco is the 2nd largest island in the Scilly Isles and the tour took in a spectacular traditional boat race founded in 1990. From a pleasure boat we saw wild life birds on the rocks amongst the basking seals (good close-ups). The tour also took in the estate of Robert Dorian Smith with all the splendour for which it is famous. The list goes on and on and to learn more, you just have to go yourselves. This short film was just an experimental time lapse production showing palm trees dancing in the wind. The camera was on a tri-pod and left running until night fall and then speeded up. It was OK but nothing spectacular. It was just an exercise but it did show what could be done, and that cant be bad. 'Ask the Panel' This evening was a practical evening for the benefit of members who may have a technical question to ask or indeed may know of of some 'up to the minute' wizardry that's just become available but is still relatively unknown about. The panel of experts for the evening were Roy Vickers, Martin Sunderland and David Smith and they really did do a very good job in answering the many and varied questions that were fielded at them. The content of the evening was much too fast for me to fully report on here but two main questions that were asked were as follows and they did make for a lot of discussion filling most of the evening. The first question of the evening to the panel was, 'Did the panel think it possible to create a complete editing suite for £1200 ?. Well you can imagine the response. David Smith said 'Yes you could' but then pointed out you could spend the entire budget on the camcorder alone. One member from the audience said , 'you could buy a second hand 42" TV for monitoring purposes from as little as £12. 00p from a shop in Keighley. The bottom line was, Yes, it was possible with a little bit of shopping around and also the availability of some free software for an editing suite and it could be done for the money. All three 'experts' gave their personal advice on what was the best way to proceed. The second question of merit was, What actually are 'cut-a-ways' and how important are they? Both Roy and Martin came in strong on this subject. Roy said how important it was if you wanted to maintain the audio signal whilst doing an unsightly 'zoom in'. A cut-a-way would cover this unwanted zoom yet maintain the original audio signal. Roy's vast experience as a wedding videographer explained that sometimes , you have only one chance' and the cut-a-way is an absolute 'lifesaver' Martin concurred with all this and went on to add how important it was to just make it an habit to take several cut-a-ways as this helped the flow of a film production and also created added interest for the viewer. As an onlooker there is as always a lot of banter on these occasions but when it gets to 10 o'clock and members are still talking about whats been said, it must have been a good evening. And it was, all credit to the 3 'experts'. Joan and Trevor jointly introduced their many and varied video films which were all very well explained as to why they were made in the first place. All the interesting. Minnie was the first film which was basically all about purchasing a Bond '3 wheeler' mini car during the 1956 petrol rationing due to the Suez crisis. What was great about this film that all the footage was shot at the time on cine film and it was a comedy to boot which worked to great effect. Some of the most surprising facts given were that driving tests were suspended for the duration and learner drivers were allowed to drive solo until the crisis was over. A great film full of nostalgia and genuine facts. bandstand was completely dismantled and much of the iron superstructure was reproduced. Much of the film dwelled on how the recasting of the iron corner posts were created from moulds, all done at the foundry of Bridge Patterns in Shipley. The first triumph was how Trevor and Co, were allowed to film in such a dangerous invironment as pouring molten iron direct from the crucible. The title of this film was very apt. The film also covered the rest of the reproduction manufacturing process finally ending with the Lord Mayor of Kirklees performing the official opening ceremony. This really was a good film for the archives. on mountain tops amazing and the choice of 'soundtrack' was spot on. The theme music really did work well on the film. from the land of tulips. 2012 that the Rex went from 35mm cine film to full blown digital productions and this is where Trevor and Co comes in. Their film records the change over of production formats and the difficulties surrounding the installation process of being able to get the projection equipment into the cinema. To begin with men had to manhandle the huge projector up a ladder (it was too big to go through the doors) and through an external fire escape hatch. The setting up of the machine and the sound system were all well covered in the film and the final opening ceremony was great for the archives. The Magic of Het Loo is the home of Hollands Queen Willomena and this film was set to music showing the beautiful gardens and fountains of Het Loo. It was a super location and very colourful with some good close ups. There was a technical problem at the start of the film which was soon overcome and we enjoyed the garden footage to a good choice of music. what a beautiful town Nyjmagen is after all the bomb damage which occurred here. This film concentrated more on the town squares, shops and marinas which this vibrant place has in abundance. Everything looks good and in top class order and made a great location for a holiday film. A New Life For An Old Shelter This film was about a bus shelter come waiting room which was built in 1896 and was beginning to look tatty round the edges. The powers that be decided to completely rejuvenate the shelter and this is what the film is all about. The film covers workmen employed by Stephen Metcalfe Ltd of Accrington who systematicaly dismantle the shelter using Sabre Saw cutting equipment and so creating 'patterns' for replacement panels etc. The film was very much on the same lines as the 'Skills Are Alive' production but it must be said it did nothing to spoil the viewing. It was another classic piece of documentary entertainment. Pennine Journey was a trip through the Stanage Canal Tunnel which was cut underground through the Pennine backbone from Marsden to Manchester. The film relived how the barge men and their wives would 'Leg' their way through the tunnel on their three and a half hour journey to 'the other side'. Boat lane was a nice touch which high lighted the journey of the barge horses which would 'unhitch' at Marsden and walk overland to Manchester and wait for the reappearance of their barge to emerge from the tunnel. To be fair it must have been a pretty grim place as it was dark, freezing cold and with water seeping through several places en route. Jewel of Slovenia. This was a holiday film and it was a superb location for unrivalled views. The aquamarine colour of the lake was stunning. The lake was Lake Bled and there was an island in the middle. At the time of filming a Boat Race and Regatta was in progress and was a great spectacle to watch. Bled is also the setting for an international ski slope and another unusual attraction is a Water Way gorge in a fantastic setting and was only accidentally discovered in 1893. The island in the middle of the lake is a main tourist attraction as the palace there was the home of President Tito and from where he ruled when Slovenia was formally known as Yugoslavia. Theres one thing about these films, you learn something every day and it was lovely to have Trevor and Joan highlight the facts and interesting bits in the films that they produce in their movie making. It was another good night at Mercury. which is in his/her opinion the best film in the entire contest. The best film therefore may not be in the winning programme. Ken Wilson of Phase 4 films was the very competent judge for the evening and he remarked as the individual programme of films for each club were shown continuously without a break he was unable to make any real detailed comment on such a varied selection of films and therefore worked from memory rather than detailed notes. By the same token it was difficult for me to take down any details too. What I can say is that Mercury Movie Makers did very well. Roy and Jean produced a film called 'Metalman' which was a smashing documentary film. It showed 'Metalman' crafting garden sculptures and weather veins from redundant scrap and old copper water cylinders. It was great to watch and see how his projects took shape with the use of outdated forge tools and argon welder. This was the judges decision as being the best film in the competition and was a worthy winner. The remaining programme for Mercury was a short film based on a poem 'Where there's Hope', a spoof type film on 'Me Dog' and 'Down By The Riverside' which was an African wildlife film. The programme for Mercury also had a very snappy ski-ing film cut to a fast moving musical song called 'Ski-ing in the Snow' followed by 'The Rain and the Coot' which was an hilarious film of a coot building a nest in a torrential downpour and it's problems with it's building materials. Congratulations, presentations and photographs were then taken of the Mercury members for their productions which rounded off a really good night. The hosts for next years Tri-vention will be Leeds Movie Makers. This evening was a selection of archive films made by member Maureen Benton. For the selection, she chose a 2001 Festival film selection for the first half of the evening. "A rain Forest Adventure" by the late Jim and Joyce Hird took us to a Borneo Rain Forest, a great adventure. This was followed by "What Goes Up" a Cretian Holiday Bungy (well that's how they spelt it) Jump. Norman and Jean Goodwin witnessed these youngsters diving to earth at a terrible rate of knotts to dip their fingers in the sea. "Barcelona" made by Michael Varley followed, some stunning views of this Spanish city and good shots of people getting on with their ordinary or extraordinary lives. "What's That" made by the Jim Hird family was a comedy of a pun of well known saying "Tulips from Amsterdam" mostly filmed in a pet shop. "Down by the Riverside" a movie from Franc Medved of a club outing and barbecue. Finally a comedy called "The Twitchers" made by club members. After the break, the films were taken from a DVD compilation from Jim Hird and involved club members. "Don't blow a fuse" was a practical evening, three ladies being shown how to rewire a thirteen amp plug top showed much dis-interest as to cause the instructor to become exasperated. "Free Brake Testing" led to disastrous results. "Time Team 1999" a club archeological dig with hilarious consequences. "Antique Road Show 2000" a spoof on the popular BBC Programme, "Play-Time 1997" made a show of the comparison between the simple children's games of the past with the present, well at least 1997. Finally "The Perils of Picture Going" showed a badly behaved audience and an exasperated projectionist when he discovered a missing reel. Note: All the films were shown on a USB Memory Stick in .mp4 format. No DVDs were used during the evening. As usual members were treated to a superb evening of films, directed, filmed and produced by Ken Wilson, a very prominent film maker amongst movie making clubs. There were seven films to be seen during the course of the evening and the general trend was towards 'scary' dramas. Toxic was the first film (in 4x3 format) which was quite light hearted really to say it revolved around an assination plot which did come off but with a twist. As usual great editing and camera angles with a good script. Do You Remember. This was another drama and completely different about a young couple who fell out over something and nothing. It was great filming capturing beautifully the domestic arguements watched by Timmy the cat all ending with an unexpected twist. The Bed This was a film in black and white with no dialogue and with a young attractive lady in her own bedroom scared out of her wits over a bit of scratching noise. It had been a bad dream. The film was about eight minutes long and the suspense created by the sheer quality of the actor (Emma Wise) is to be applauded. The film came to an end in black and white as the actor awakened changing to full colour mode. and here presto another twist. Emma Wise is in consultation with television companies for further work. Lets hope she finds some work, she's great. Bookends This video production was a situation comedy film with twists at every corner. It starts with a chance encounter of two men accidently meeting on a park bench and irritating each other from the start. Its very funny and they go there seperate ways only meet each other a short time later in a completely different situation. The laughs kept coming and once again it was all in the final twist. 2 Short Music Video's Ken Wilson is also a Wedding Videographer and he decided to show members a couple of short films he had produced. One film was all men and the other was all ladies and the idea was to get the men (Groom, best man and ushers) to act as a boy band whilst the girls ( bride and bridesmaids etc) would act as a girl band. In both cases the bands were current A Listers. The weddings were completely seperate and produced prior to the Big Day(s) so they could be shown in the evening to their wedding guests. The girls were filmed at Bawtry in a back garden and the boys were filmed at Kirkstall Abbey. Both productions were single camera 'shoots' and the editing cutaways and lip sync were spot on. Ken said in both cases the evening viewings were greeted with huge laughter applause. assassin. This was very funny, tongue in cheek stuff but it worked beautifully, with a twist of course. shot and edited with some great script writing, but best of all Ken has surrounded himself with some top notch actors all fully supported technically behind the scenes by his wife Carol. We were entertained by Ian Dewhirst, a well known Yorkshire raconteur from Keighley, on the subject of the Second World War. Tales of evacuees arriving in Keighley from Bradford! The way he discovered what was happening by school registers and day books, events were not always reported in the local newspapers for security reasons. The removal of signs to prevent enemy paratroops from finding their way. Local factories making munitions and supplies for the war effort, never bombed although a map retrieved from Germany after the war showed sites marked that were not even on the English maps but were in place including these armaments factories. He kept us entertained all evening with all sorts of amusing tales and gave us a picture of what really happened in these dark and uncertain times. An evening of films mainly taken in South Africa and featured mainly the Wild life. A film showing the Children enjoying a birthday party with their tribal dancing. A journey on a train hauled by a Steam Locomotive The Outeniqua Choo Tjoe which is no longer in service so a bit of historical footage. An enjoyable evening of very interesting films well edited and narrated. to say 'well done' (but it was close). For the record the programme was judged by 'Adrian and Rita White' from the Leeds Audio and Visual Group. The first half of the evening was the conclusion of the competition films. This was followed by some films that were used in the programme "The way we were" which were made by Mercury Movie Makers now held by the Yorkshire Film Archives. Entries and winners from the Holiday category were shown. No meeting at the Mercury club rooms tonight. squadrons mascot which is also a goat and named Jeffery. The reunion ended with a toast to former aircrew and 'Jeffery' who was also present and in full ceremonial attire..
David Peacock narrated this film which was set in a huge model railway setting and was produced for the Leeds Steadman Trust which was paying homage to the former Leeds Model Railway Company. This was a really good model railway lay-out with good sound effects and a clear precise commentry along with some good camera angles. What really made the film special was that the models were hand made from from old cocoa tins and tin cans. Now that was really good. 3 The City That Time Forgot. A lovely location in Southern France, well shot and it was a good tale celebrated of myth and legend. This film was a bit deep. It revolved around 'Tarrot Cards' being read and three murders taking place at the same time. Each murder occurred just after the victim had made a large donation to an unknown charity but with a twist. The viewer only saw the 'gloved' hands of the murderer along with his spooky voice, It all ended when only the 'gloved' hands of the murderer were shown as he turned up at the Tarrot Card readers home with his his spooky voice said 'Who Can You Trust Nowadays' with a quick surprise shot of the murderer which was quite a surprise but an even bigger surprise for the Card Reader, Creepy stuff. This film was set at Bolton Castle around five hundred years ago in 1588. It was based on the daily routines of the castles inhabitants, literally being butchers, bakers and candle stick makers. It covered each of these trades and many more, both making their wares and cooking food to perfection. The candle maker made two different kinds of candles, one being from cheap 'Tallow' for everyday use in the castle and the other made from 'Beeswax' only for use when the 'Top Man' was poking about. The film also covered the defense of the castle by the garrisons malitia. They looked a bit weak and unruly but that's the way it was in those days until Cromwell and his ilk turned up. The film was cleverly done and the acting was really good. Children with a vivid imagination would love this film. This production was filmed at the Yorkshire Museum of Farming based at Merton Park near York. The subject was about the girls of the Land Army during WW11 and the importance of need and how to produce food to feed the nation's hungry population. It was an accurate film in every detail made more-so by the fact that some of the actual Land Girls now slowly declining in numbers, were actually in the film doing 'Talking Head' shots, all very cleverly edited in post production. As usual all the filming was steady with good framing and sound track. This was a 'Jokey' spoof film about having a poor memory and as is usually the case, the subject is convinced he is just fine. The film is really all about camera-work, facial expressions, camera angles and framing along with 'mutterings' and 'cursings' in a gentle sort of way. The 'elderly' chap all he had to do was remember two items from the local shop one hundred yards away and then he got it wrong. Enough said, it's funny how we all laughed and agreed with it being a bit 'near to home'. This was a really professional video film. The film was a romantic drama and was very convincing. It was the production of the project which gave most interest to our members. Dave made his initial investigations for the project but thought it was much too ambitious. only to be informed that he should advertise his project for wanted assistance. From memory he advertised for actors and sixty seven turned up, he only needed twenty or so. He needed a new 'top end' Porsche sports car, one was offered. He needed a large prominent hotel venue, one was offered. He needed an impressive office suite, and guess what, one was offered. The surprising thing was that all the assistance given from actors etc down to the hotel venues were offered completely free of charge. The end production was a film suitable for television. It would need a book to describe all the details here as it was a very complicated plot, but the message is clear. If you have a good idea and want to go ahead with it, ask for help or assistance. It's surprising how many budding actors will jump at the chance to get involved, and remember the saying, many hands make light work. All these films were quite good and it was good evenings programme. Unfortunately the list didn't mention from which club the entries were from. Also the winning trophies hadn't been engraved or any certificates printed. For Mercury, 'Genesis of Cinematography' was runner up in the Non-Fiction class. It was a cracking film produced by David Myers, one of our leading film makers with a super narration. Another Mercury entry, 'Even the Best Laid Plans' was runner up and was a group members film which was a 'Gay' comedy with a good 'punch line'. 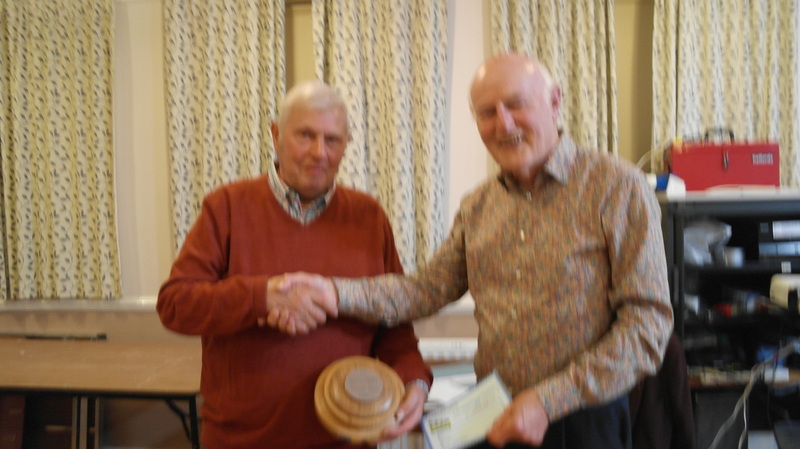 The Winner of the Fiction was 'Writers Block' by Bob Lorrimer of Huddersfield and the Winner of the Non-Fiction was 'A Flying Visit'. The overall winner was No.10, 'Meditations of a Lighthouse' produced by John Roberts from Sheffield. A clever animation film with a story. The judging was done by Swan Movie Makers. The films were very enjoyable and it's good to meet fellow film makers but the organisation certainly needed smartening up. 24th February - Wyvern Amateur Video Enthusiasts (Wave) showreel, Jersey & Archive films. ​The first half of the evening was films from the WAVE Video Enthusiasts. 1. 'Then There Were Two' This was a Club film which was well acted by perhaps a drama group but altogether it was rather slow. There were some good steady shots but needed a more variety of 'angles'. It was a good script but was short of some lift in the overall pace of the action. 2 'Christmas' An elderly couple look back on past Christmas's. It was filmed by Pat Adcock and made good use of old footage of their families past 'get togethers'. It was a good film with good steady shots and a good clear commentry. It just goes to show how valuable old footage can be. 3 'Look on the Bright Side' A 'One Minute' film made in the clubroom. It was a good script with a good ending but lacked punch. 4 'Getting Old' This was the winning film in the MMM 'Film in a Day' competition. The filming was OK but the sound was 'Iffy' in places although there was some good acting and it was a good idea. 5. 'Addiction' This film was all about 'Drug Addiction' and it was done very well. The footage and framing were well done and creative as well as being very steady, The camera angles and soundtrack were good as were the clever use of transitions from B&W to colour. Although it was very well made it did take some following and needed in depth concentration to watch. The filming was very steady (tri-pod used) and the sound track was clear although the editing of the sound could have been better, by using 'J Cuts' for example as the sound cut dramatically when the shot changed. It was a good attempt but the editing could have been much better. There's one thing about getting all these films of many different styles and subjects, it's variation and ideas to continue our hobby of making films. 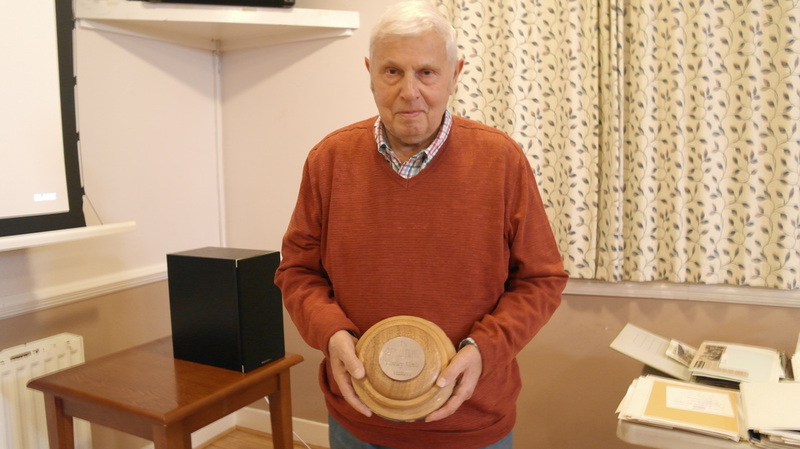 'Forever Remembered' was a film produced by the Jersey Camcorder Club as a tribute to the people who faced starvation during the second world war. The film opened with members of the Jersey Model Boat Club who were showing their wares and in particular a model of the SS Vega. The footage of the video film had good steady shots and was recalling the original SS Vega which was the first steam ship to arrive in Jersey in December 1944 and was delivering life saving Red Cross food parcels to the Channel Islanders. Its 70 years later that the Jersey Model Boat Club are commemorating that momentous moment and it was really a lovely film. Some of the footage was really fascinating as it made much use of original archive material of the actual ship unloading food parcels at the docks. This was a great film production and thoroughly appreciated by all the viewers at Mercury Movies. It had lots of nostalgia and created much discussion about how near we were to an invasion on our own Island. Lots of room for Thought. After a short interval we had another presentation. Movie Makers. The archives are compiled by Bob Rudd and it has to be said that Bob does a terrific job listing all the films in a neat and methodical order. This made the job very easy for Allan to make his choice of films. 'Horses at Work' was a lovely film, and guess what, it was about horses at work and this was why the film was chosen from it's title alone. The film covered a real mixed bag of all the different aspects of horses at work and for pleasure as well. It went down really well with the attendant members. Splendid People was an exceptionally well shot film with a beautiful commentary full of depth and charisma. It was all about life on the canals in days gone by. It was based on Sonia Rolt who was a writer who wrote and produced books with a fascinating insight to the old days on the canals. The film made much use of superb archive photographs taken by Robert Longdon in and around the canal at Hawksbury Junction. The Camerawork, Commentry and subject matter was first class. view of life on the railway and in particular the KESR. We were treated to some nice steady shots of steam trains which always goes down well with many of our members as you just can't go wrong with such lovely old trains like Saddle Tanks. It was a good film and ended another good night at Mercury Movie Makers. Tonight members were shown a programme of selected video films produced by members of the Jersey Camcorder Club. Many of the films needed more attention to detail regarding both visuals and soundtrack but non the less it was an entertaining evening with many insights to the history and and the various locations on this mainly holiday island. Below is a list of the evenings programme. stranded by the rising tides. talking about. Editing could also have been much 'tighter'. with more attention paid to the sound track. It was a good subject but it did bring home the importance of paying strict attention to some good editing. This film was produced by Carol Thebault and was about the 'Thatching' of a conical roof on a round tower. shots. He was also explaining what he was doing as he worked away but there were some awkward pauses. personal record to all concerned but for general viewing this item would have been better left out of the film. It left the viewer wanting to know more and some would say 'that's a good thing'. to be 'tightened' up and the outcome was a bit predictable. It was produced by Alan Michel. strikes he wakes up. He was awakened by his alarm clock going off, it was all a bad dream. where it could have some real clout. It was a Club Production and a very good idea but fell short at the last hurdle. This was a promotional film produced for the Lions Club of Jersey and was produced by Annette Lowe. be disabled himself. Another nice feature was a background commentry inter-mixed with the talking head shot. the disabled. This really was a good film and very well produced by Annette Lowe. on what was basically a rather 'punchy' video film. Much tighter editing was needed here. Having said that, it was a good record of the day knowing that it would be the last time we would see the Vulcan fly. This was a group film with the co-operation of the Jersey Heritage Centre at Hamptonne. many years. Ironically the method is rather simple and so the making of the traditional cidre has hardly changed. Short and sweet, all tripod shots and it was a good idea, produced by Wally Rowe although the ending was 'predictable. some of their ideas. That's the way it goes. They will do the same to our members when Bob sends our own compilation Jersey. Now that will be interesting. the judging process was a bit convoluted for so many entries (25) and possibly too many judges all with varying opinions put into teams and hopefully get a result. From these results a winning film has been chosen and a winning programme. These have been passed on to NECA. ​Tonight, members of Mercury Movie Makers have been asked to judge the NECA Competition. Neca is the North East Cine Association which is a group of five video clubs in the North East of England and very similar to our local WRCG (West Riding Cine Group) albeit with different rules. As the number of entries were numbered at twenty five it was decided to view the programme over two consequetive meetings and simply put each club has an half hour 'slot' and can enter as many films as they wish providing the total running time does not exceed thirty minutes. One club had five entries whilst another had only three, but that's the way it goes. During the first night for the showing of two club entry's, members viewed eleven films and it has to be said, 'they were pretty good'. Members were divided into teams and each team decided on the 'wow factor' of each film and only after all the entries have been viewed will the teams collate their findings to decide upon the winning clubs programme. So for now I can give nothing away, suffice to say, watch this space for the big story and results next week. A showreel of films from HCVS was a mixed and varied production of their members films from 2014. All the films were of good locations but unfortunately most were let down by their editing skills.. Generally speaking they were let down on the audio side of the editing whilst much of the video footage was steady. This made for a great night for Mercury members as they were able to discuss in detail the finer points of video editing and in particular the soundtracks. Having said that, there were some very good films. from their presentation. 1. On Safari at Woburn. A lovely location with some good video material but sadly let down by the editing and audio soundtrack. 2. Blowing in the High Wind. The footage was taken in rough weather on board a cruise ship. The on board footage was of a Glass Blowing demonstration which was very informative but let down overall by the editing. Once again some good basic video material let down by the editing and in particular having some unwanted Sub Titles. The audio track could have been much better. This was a 'one minute' spoof film with a play on words, 'Sardines' misinterpreted as 'Six Tins of Beans'. The idea was good but overall it just didn't work. The basic Video Footage here was of a great location for a Forties Wartime Re-enactment Group. The setting was really good with some good video caught on camera. Unfortunately it was let down by the editing. Scenes were too long and often repeated and the sound track wasn't up to scratch. The opportunity of a good film was sadly missed. 6 Sherlock Holmes & the Stolen Emerald. This was a superb 'send up' of Sherlock Holmes. It was either filmed in a theatre or a studio setting mock-up of a theatre but it was brilliant. When edited the finished production was in a mock sepia style with intentional over the top acting by the actors. It had the old Buster Keaton style of Title and sub titles and along with the script it was just great. It was a very worthy production perhaps using a local drama amateur group. This was a very informative production about the history of porcelain from such places as Meissen in Gerrnany and Limoges in France. The shots of the 'artists' painting the the 'pieces' were amazing and watching the sculptured items be made was really good. The limited 'voice-over' allowed the visuals to tell the story. This video film was about a carrilon of bells and the tuition given to any aspiring bell ringer. By using a small model, the guide in the film explained the workings of campionology which in itself was very interesting and held one's attention. This was an unusual video film about two ladies who got rather amorous towards each other at a works party and was then regretted by one later in the week. they decided to go their own ways but reluctantly said it was fun and 'should we do it again' next year. We were held in suspense what would happen. This was a really well shot film in wide screen with good solid editing. The sound was excellent as it was all recorded outside on a cold day. 10 A Year in the Greenhouse. Now you would think this was going to be a slow video film recorded over a year in the makers back garden. The scene opened to a cold winter wonderland of the garden and the 'Jobs' that needed to be done by the home gardener in readiness for the coming season. Well it was anything but, It was a great film showing the preparation and planting of seeds and cuttings in true 'Titmarsh' style. The fruition and end results of the film were really good and enjoyed by all. Well edited with rock steady shots. Filmed on the borders between Brazil and Argentina this was a fantastic location for filming. Opening shots of the amazing Iguazo Falls were by helicopter followed up by footage from a boat trip to the foot of the falls. Later some footage was taken of the local area made from another boat a bit similar to a large canoe. It did show some local wildlife which was very good and made for some very interesting viewing. This short video film was basically a film to a record. It was of an old man where all his 'bodily' apparatus was going wrong. The pre recorded record was hilarious and the camerawork was absolutely superb with all the right angles and being very steady. It really was the best in show capturing the excellent acting of the 'old man'. from a very practical point of view. This very varied film show was hosted by Roy Vickers and David Myers. David opened the first half of the evening with a long introduction about his first film, for indeed it was the very first film he made for the club during 1992 thro to 1998. The documentary film was all about the complete restoration of a Fowler Tiger Tractor which was one reason why it took so long to produce. U7148 as the tractor was known was built in 1920 and was thoroughly documented throughout it's restoration until its final showing when restored at the Harewood House steam fair. It was a lovely film with lots of 'tradecraft' showing the skills of a bygone era. The second and final film by David was around the Farne Islands and Staple Island in particular showing off the abundant bird life on the islands. Much of the filming was taken during a boat trip captained by the late Billy Shields who allowed his passengers to disembark and get up close and personal on Staple Island for those preferred close up shots of the Puffins and Seals. Davids usual high quality narration carried the film with a great overview of his visit. and the films were thoroughly enjoyed by all. Bob Rowley and Martin Sunderland provided members with a splendid film show from their own collection of films. Bob presented the first half of the evening with his own films. Superb videography captured moments in the mountains of Cumbria along with breathtaking feats of endurance at a 'Live' rodeo event in America, all spectacular stuff. Their was a beautiful film covering the wildlife and foliage of his back garden set to a very lively 'music' sound track. Bob also presented a club comedy film in which he 'starred' with great effect from the final 'punchline. After the tea break and short intermission Bob introduced Martins long standing idea of making a film to one of Bobs scripts. Due to massive breakdowns on Martins hard drive and then on Bobs hard drive and then again on Martins hard drive, this rom/com drama took over five years in the making but was well worth the wait. Another short film followed which was based on the out takes of the previous film showing all the mishaps whilst shooting and direction took place, all good stuff. The highlight of the evening was that the actors of this film were invited to the club to see the premier showing of Bob and Martins five year slog on the computer. The actors were used to theatre productions and had never seen themselves in a big screen production before. The lively session of questions and answers ended a really good evening with Bob and Martin..